I am an associate professor at Cornell Tech where I am the founder of the Connective Media hub, co-direct the Oath-supported Connected Experiences Lab, and lead the Social Technologies research group. I sometimes consult or even co-found startups. Previously, I was an assistant professor at Rutgers SC&I, led a research team at Yahoo! Research Berkeley, and got a PhD from Stanford. Oh, and played professional basketball. My lab designs, builds, and studies social systems, with a focus on topics related to Technology, Media and Democracy. Our sponsors include Yahoo Research / Oath, Google, Facebook and the National Science Foundation. For prospective 2019/2020 PhDs: I will only be considering new students who are committed to working on issues related to Technology, Media and Democracy. Feel free to email me with information about your relevant experience and goals. Congrats to my PhD student Xiao Ma for Snap Research Honorable Mention! Thanks NSF for an EAGER award to study new ideas in Indirect Resource Exchange. Congrats to my 1st year PhD student Matt Law for a NSF Graduate Research Fellowship Honorable Mention. Received a Google Research Award for our work on large-scale patterns of attention. Thanks Google! My student Xiao Ma recognized as Facebook PhD Fellowship Finalist! Three new upcoming papers at CHI 2017 available from the pubs page -- on a new kind of community awareness app, measuring attention to news articles, and anonymous social networks. Our paper on trustworthiness of profiles on Airbnb gets a Honorable mention for best paper at CSCW. 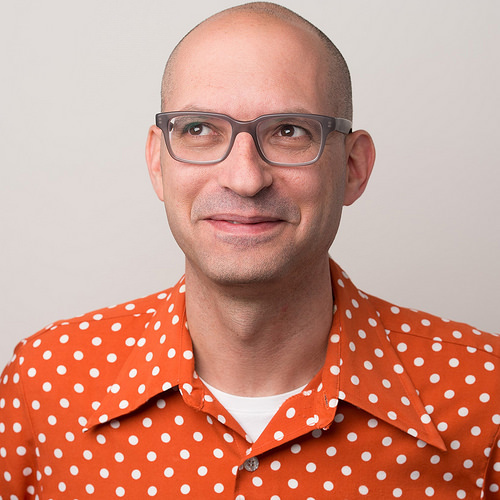 Mor Naaman is an associate professor of Information Science at the Jacobs Institute at Cornell Tech, where he is the founder of the Connective Media hub, leads a research group focused on social technologies, and directs the Oath-supported Connected Experiences laboratory. His research group designs, builds, and studies studies social systems, with a focus on topics related to Technology, Media and Democracy. Mor applies multidisciplinary methods to 1) gain a better understanding of people and their use of social tech; 2) extract insights about people, technology and society from social media and other sources of social data, and 3) develop new social technologies as well as novel tools to make social data more accessible and usable in various settings. Previously, Mor was on the faculty at the Rutgers School of Communication and Information, led a research team at Yahoo! Research Berkeley, received a Ph.D. in Computer Science from the Stanford University InfoLab, and played professional basketball for Hapoel Tel Aviv. He is a recipient of a NSF Early Faculty CAREER Award, research awards and grants from numerous corporations including AOL and Google, and multiple best paper awards. If I am speaking at your event, additional high-res headshots are available: 1 2 (I'll like you better if you pick the polka dot one). This is not a definitive list and likely to include only major publications. For a more complete list, see Google Scholar. When Do People Trust Their Social Groups? ZoneTag's Collaborative Tag Suggestions: What is This Person Doing in My Phone? How Flickr Helps us Make Sense of the World: Context and Content in Community-Contributed Media Collections.